As Senior Vice President, Commercial and Retail Banking, Mark Drenchko is responsible for managing the Commercial Banking Team and Retail Banking Centers. Mark is a veteran banker, having served in business development and executive management roles for more than 25 years. 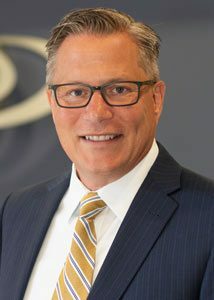 Mark is involved in the community and charitable organizations, serving on boards for organizations such as Big Brother Big Sisters of Beaver County. Whether a question about small business banking, a commercial real estate or equipment loan, or cash management tools, contact Mark to learn how Mars Bank can help your business succeed. Important Information for commercial customers.